Bystronic is advancing into a new customer segment. The Xpress offers concentrated bending technology at an attractive price-level. Thanks to the newly developed press brake, even users without prior experience achieve professional results. 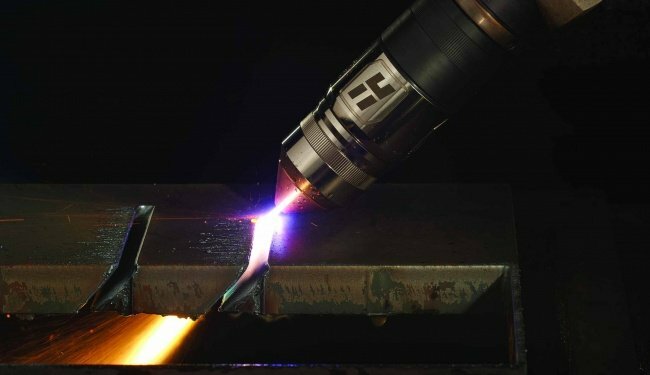 For many companies, a high-quality press brake is prohibitively expensive. Hence, small workshops and beginners often revert to second-hand machines or low-budget models. But the low purchase price is often offset by poor quality. Bystronic’s new entry-level model, on the other hand, is a much more sustainable investment. With its attractive price-performance ratio, the Xpress sets a new quality benchmark in the lower price segment. With the Xpress, Bystronic’s innovative bending technology is now accessible to a new segment of customers. Small job shops, family businesses, and medium-sized enterprises no longer have to accept compromises in terms of quality. Entry-level users can rely on high-quality equipment. And for those companies whose core competencies previously did not include bending, the Xpress allows parts to be manufactured in-house instead of having to be subcontracted at high cost. The intuitive operation of the Xpress enables a quick entry into bending technology. All the process steps on a single screen – this is the idea behind the ByVision Bending software. The 22-inch touch screen enables users to design parts with just a few swipes of the finger. The software provides valuable support for the programming of bending sequences. 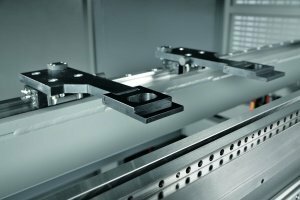 ByVision Bending determines the suitable tools and the ideal bending process for every material thickness and bending angle. Precision is the most important performance benchmark of a press brake. 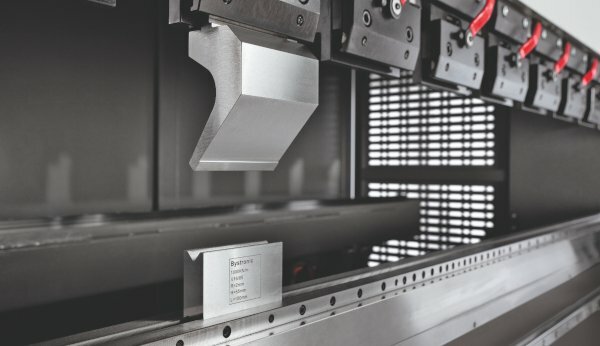 Hence, the ByMotion drive control, a Bystronic in-house development, ensures that the upper beam and backgauges of the Xpress are accelerated with high precision. The press force required at any given time is distributed with high precision over the entire bending length, both when coining and when air bending. This ensures bending results with a high degree of repetition accuracy. 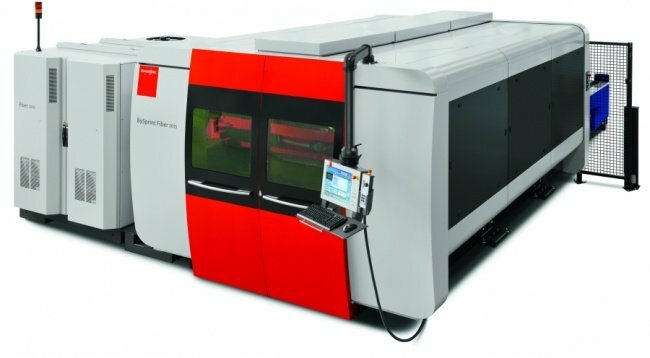 The closed O-frame design of the Xpress guarantees high machine rigidity and offers sufficient space for applications along the entire bending length. In addition, the modular design ensures a high degree of flexibility. Different tool clamping and backgauge systems allow individual customization to adapt to the production environment. Compatibility with all other Bystronic bending systems makes it easy to expand production. This makes the Xpress predestined for small businesses that want to grow. The versatile bending technology lays the foundation for a high quality standard upon which a successful business can be built. Bystronic’s comprehensive know-how and customer-oriented services make the Xpress a carefree package for future bending experts. 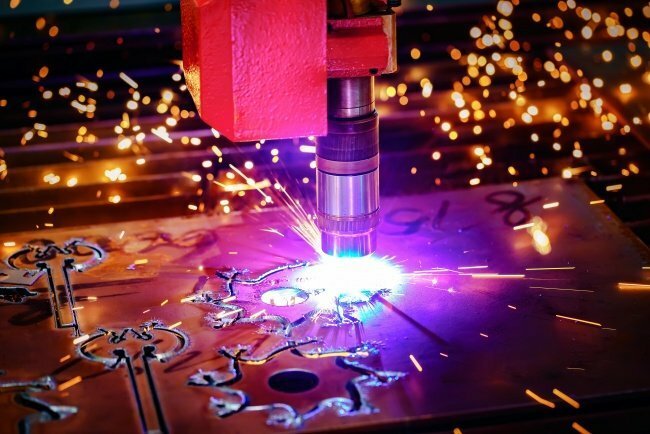 Laser is renowned for delivering excellent fine feature and hole cutting thanks to its narrow kerf – roughly 0.2 mm to 0.4 mm on mild steel with oxygen and even narrower when using nitrogen to cut mild steel up to 25 mm in thickness. Fibre laser also produces excellent cut angularity and can cut to very tight tolerances, in the range of 0.2 mm.